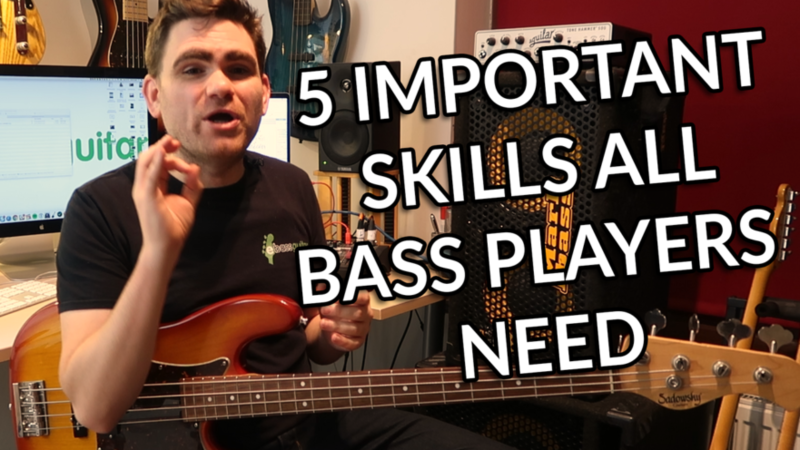 Click Here To Download The FREE 5 Important Skills All Bass Players Need PDF! When it comes to becoming a good bass player… there are few things that are ‘non negotiable’. Stuff you just need to be able to do to create GREAT bass lines. The great news is I’ve ‘boiled this down’ in to 5 core elements. The even better news is this system can be applied to ANY chord sequence in the world and it will create rock solid bass lines. I call this the ‘5 Point Masterplan System’. In this lesson I’m going to take you through this and show you these 5 important skills.